Inverter - Charger There are 13 products. A charger inverter is a pure sine wave inverter that incorporates the ability to perform charging a battery bank from an AC power source. It is therefore an electronic device with the ability to transform DC power to AC power (like other investors) and the opposite way; transform AC power into DC power, to charge a battery. What is a 12V-230V inverter charger? 12V-230V sine wave inverters chargers are incorporating the ability to charge the battery bank from an external source. 12V-230V inverters start from the DC power of a 12V battery bank to create an electrical grid 230V AC. Inverter Chargers 12V-230V, as part of a solar kit, are responsible for the transformation of battery power into usable energy for any conventional electrical appliance. The purity of the sine wave at 50 Hz is suitable for creating any electric charge at 230V; lighting, appliances, pumps, etc. The charger function allows battery charging from an AC power source, such as an auxiliary generator or conventional power grid itself. Inverter chargers 12V-230V enable, when connected to a battery bank 12Vdc, to generate 230Vac electricity. Allow the transformation of the energy created by a solar panel or a wind turbine, which has been previously stored in a battery bank of 12 Vdc, in AC power at 230 Vac kit. 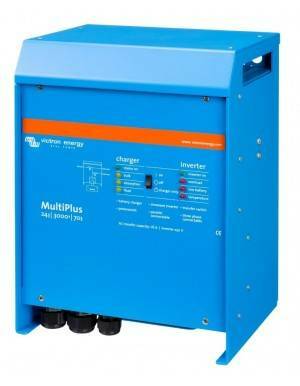 Inverter Chargers 12V-230V, as part of a solar kit can generate electricity into AC from batteries to 12V, and allow charging these batteries from an external AC power source, such as an auxiliary generator petrol or diesel, or even the conventional electricity grid. 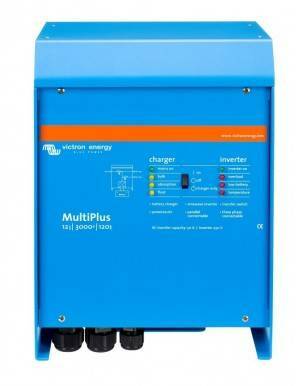 What is a 24V-230V inverter charger? Inverter Chargers 24V-230V, are sine wave inverters that connect to battery packs of 24 Vdc, generating 230 Vac AC from DC stored in such batteries. This electronic equipment, as part of a solar kit, are able to generate a pure sinusoidal electric current, just as that provided by the conventional power grid, allowing the use of any electrical appliance in any location, anywhere remote. 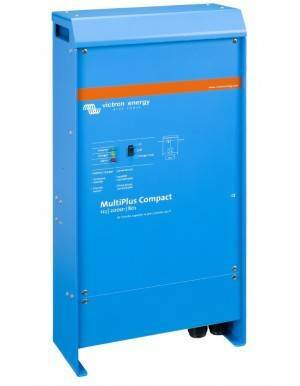 In addition, the charger function allows battery charging from an external source such as an auxiliary generator. As part of a solar kit with or without wind generators; kit consisting of solar panels, a set of batteries, controller or solar charger and inverter; it is responsible for carrying out the transformation of the DC power generated cleanly and stored in the batteries, AC power usable to connect any conventional electrical appliance. Also with the plus of having the option to charge the batteries if necessary from an external energy source. It can be connected to a pair of batteries 12 Vdc in parallel, thereby forming a complete solar kit with very few elements: two batteries of 12 V in parallel a solar kit, or even a single, a regulator or solar charger and an inverter 24V-230V. Furthermore, in parallel to the solar panels kit could also install wind generators. What is a 48V-230V inverter charger? The inverter charger 48V-230V is an electronic device that converts electricity in the form of direct current, contained in a bank of 48 Vdc batteries, to AC electricity at 230 Vac equal to that of the conventional power grid. Further allowing, thanks to the charger function, recharging of the battery pack if necessary from an external power source, for example from an auxiliary generator. These models are typically used in off-gird systems of medium or large size, because these systems are mounted with storage at 48V, but can also be used for low power. As part of a complete solar kit, 48V-230V inverter creates an AC pure sine wave grid, suitable for all types of conventional electrical appliances. In an assembly of kit solar panels, controllers or solar charger, battery bank 48 Vdc and inverter 48V-230V, this is responsible for the transformation of electrical energy into direct current generated cleanly into electrical energy into alternating current usable for any electrical equipment. Like any inverter, the 48V-230V models are electronic devices that create an electricity grid in the desired location. Allowing the use of electrical equipment at any remote location. Given the variety of models, both available power and characteristics, it can be adapted to the needs of any user. And setting a device tailored to each client. 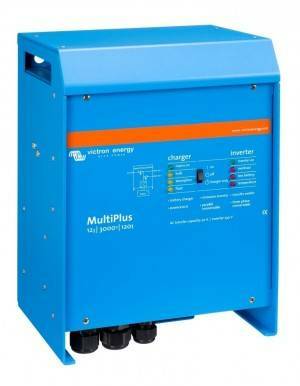 The inverter chargers 48V-230V have a charger option that allows recharge the batteries if necessary from an external source of alternating current, such as from an auxiliary gasoline generator or from the conventional power grid itself. The minimum configuration required to complete a solar kit with such investors will; one solar panels, or a single regulator or solar charger, a battery bank consisting of at least 4 x 12 Vdc batteries in parallel and an inverter 48V-230V kit. Being able to install wind generators in parallel with the solar kit. It is a widely used type of inverter in off-grid facilities, allowing to charge batteries with other sources if necessary. 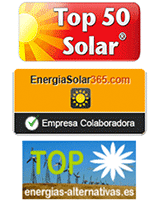 Need that can occur, for example, by excessive consumption at a time since it is not able to cover our solar kit. An inverter charger, as part of a solar kit, allows the option of an external supply kit if necessary; for example, a gasoline generator. If you have an extra source of energy (an auxiliary generator or the electrical grid) such inverters can further adjust the design of the solar kit to our medium needs without oversizing to ensure not run out of supply if the estimated requirements are exceeded. Thus a complete solar kit, comprising; kit solar panels, or solar charger controller, battery bank and inverter charger; It can be dimensioned snugly to the needs, taking into account that in case of need can connect an auxiliary source that recharges the batteries. With the use of a box autostart and the proper configuration, you can make a boot autonomously to the auxiliary generator when the batteries reach a level of discharge prefixed. In this way the system is fully autonomous and allows us to have as much electricity as we want at all times.